Brokenness. We wear it like a badge, proudly showing off the shattered pieces of our lives--while still fighting the same desperate battles. But brokenness was never meant to be the destination. Or your identity. It was meant to be the catalyst for breakthrough. It's okay to not be okay for a little while. But Jesus has a plan to see your scars become success stories that reflect His glory to the people around you. 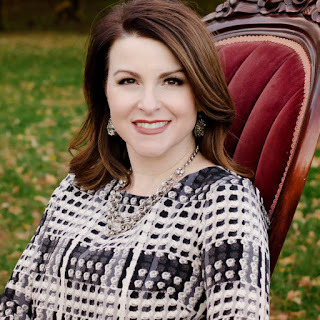 Jennifer Renee Watson is a contributing writer for The Mighty, She Believes, and Sonoma Christian Home and has guest blogged for (in)courage, Her Green Room (for ministry wives), Guideposts, Scary Mommy, For Every Mom, and Holley Gerth's popular Coffee for Your Heart. She co-founded Broken Girl Ministries in 2011 to help women find the same healing she found in Christ. She has spoken at churches and events, and she's led prayer retreats centered on biblical teaching and prayer. Jennifer lives with her husband and two children in Northwest Arkansas. Learn more at www.jenniferreneewatson.com. I feel like this book is something God brought into my life at the exact moment I needed it. I have been living in my brokenness for too long - holding on to the hurts that I've allowed to define me. This book is full of encouragement and reminders of God's love. Because it was such an important read for me and I wanted to get as much out of it as I could, I did not read this book fast but savored it and highlighted so many things. It's definitely a book that can guide you out of your broken state and into freedom in Christ. Renee doesn't speak down to us from some lofty place, but speaks to us as a friend or sister as she shares her own story. I loved how she was so open and honest about her own journey as it encouraged me. 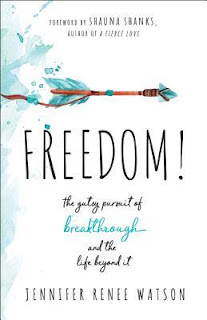 Sharing her own wisdom from where she's been plus the Biblical wisdom of God, she sets us on a path to freedom from the hurtful brokenness in our own life. I truly enjoyed this book so much and gained so much from it. 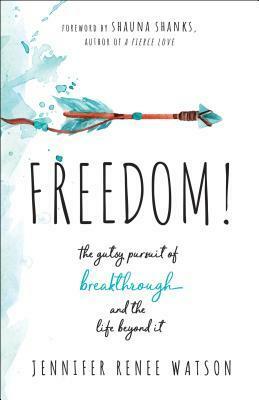 I would definitely recommend it to anyone who wants to move forward and live their lives in freedom! I give this book 5 stars. *This book was provided to me by Bethany House. I received a copy of this book to review but I was not financially compensated in any way. The opinions expressed are my own and are based on my observations while reading this book.